How has Spotify managed to outperform industry giants Google, Apple, and Amazon? 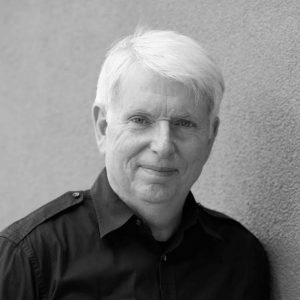 Scrum co-creator Dr. Jeff Sutherland reveals three ways Spotify’s implementation of Agile development is catapulting it past the competition. If you look at the roster of competitors that digital music service Spotify deals with every day, you might wonder how the European startup has managed to survive without getting crushed. Apple has iTunes. Google offers Google Play Music All Access. And Amazon (is there anything the company doesn’t sell?) has long been rumored to be developing its own subscription-based music service. That’s not to even mention other well-funded services like Pandora, Rdio, and Rhapsody. That’s some stiff competition for a growing startup with a current valuation of $4 billion — several hundred billion less than behemoths like Apple, Google, and Amazon. So, how exactly has Spotify taken on the challenge and stayed one step ahead of those industry behemoths’ services? Dr. Jeff Sutherland, co-creator of Scrum and author of the book Software in 30 Days: How Agile Managers Beat the Odds, Delight Their Customers, And Leave Competitors In the Dust, recently sat down with OpenView to discuss how it has a lot to do with how Spotify leverages Agile software development (listen to the full interview here). “Spotify has approached (Agile) very systematically, and the reason for doing that is because of the competition it’s facing,” Dr. Sutherland explains. Of course, Google, Apple, and Amazon use Agile in some way, too. So, how has Spotify managed to turn it into an advantage? Spotify doesn’t just preach Agile, it lives and breathes the development methodology. According to Dr. Sutherland, Spotify insists that its Scrum masters also be experienced Agile coaches, and they’ve gone out of their way to recruit some of the leading Agile trainers in the world to fill Scrum master roles. In this post for TechCrunch, Ingrid Lunden says that Spotify organizes its international team into small clusters that it calls “squads,” and treats those units like individual startups. Each squad is fully autonomous and focuses on a specific function within Spotify’s product. That organizational approach is key to quickly developing and delivering software updates without interruption, Dr. Sutherland says. When a business is scaling as fast as Spotify, roadblocks will inevitably arise that can hinder the speed and quality of software development. Spotify deals with those issues by constantly monitoring potential obstacles, and removing them before they become a bigger problem. For instance, Sutherland says the company noticed at one point that its operations team was too slow in executing deployment. So, it removed that impediment by handing over deployment responsibilities to the development team and having operations experts simply provide the right tools and procedures for executing that step. Ultimately, that streamlined Spotify’s deployment process and created greater consistency and predictability. The simple reality, Dr. Sutherland says, is that in order for your smaller, growing software company to compete with the big dogs, it has to nail Agile. 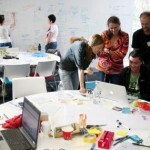 How can you ensure your team makes the best use of Scrum? Of course, that doesn’t mean you have to try to mimic Google’s Agile practices (the search giant has been known to assign 15,000 developers to a single branch of code), but Dr. Sutherland says you do need to fiercely commit to Agile, or risk getting obliterated. Want to learn more about Scrum? See our Scrum Process and Resource Guide.